Llewellyn Insurance Services of St. Petersburg, specializes in providing insurance solutions for individuals, families, property owners, and small businesses all over Florida, specializing in St. Petersburg, Pinellas Park, Anna Maria Island, St. Armandas, St. Pete Beach, Tierra Verde, Treasure Island, Holmes Beach, Madeira Beach, Indian Shores, Indian Rocks Beach, Anna Maria Island, and Siesta Key, Florida. Wheathr you need auto/car insurance, homeowners insurance, life insurance, or business/commercial insurance, our knowledgeable and friendly staff will be able to develop an insurance program that is customized to your specific needs in the Tampa Bay area and beyond. Llewellyn Insurance Services is an independent insurance agency. We work with many different providers, smaller insurance companies throughout Tampa Bay and larger National insurance companies, so we can get the best insurance policy for you. As dedicated members of our the Gulf Coast community, we offer both personal and commercial insurance policies. The people of Sarasota, Pinellas, Hillsborough, Manatee counties, including the cities of St. Petersburg, Pinellas Park, Anna Maria Island, St. Armandas, St. Pete Beach, Tierra Verde, Treasure Island, Holmes Beach, Madeira Beach, Indian Shores, Indian Rocks Beach, Anna Maria Island, and Siesta Key, Florida, plus the entire Tampa Bay area, and beyond are proudly served quality insurance with a passion by Llewellyn Insurance Services. For customer-first insurance, call us at (727) 894-5555 and we'll get you covered! Or, stop by our St. Petersburg, FL location to see us. We look forward to being your go-to insurance agency in Florida! No matter where the road may take you, be it Pinellas Park or Tierra Verde, Llewellyn Insurance can help take care of you and your loved ones on the road. As independent agents, we combine different quotes that are provided by the most reasonable insurance rates that meet your Auto/Car Insurance needs. There are many ways to keep you and your properties safe if anything might happen, even if you are just renting. We are here to discover what your home insurance coverage needs are for your particular Gulf Coast home, apartment or condo; We've got all your property insurance needs covered. Llewellyn Insurance has Mobile Home insurance in Siesta Key, Boat insurance in Indian Rocks Beach and whatever property insurance you may need in Tampa Bay and any other location in Florida. Life is unpredictable, but your insurance shouldn't be! Llewellyn Insurance Services can help you find the right life insurance policy for you and help ensure that your policy continually meets your needs. Our life insurance products include Whole Life, Universal Life, Term Life, and Annuities. In life, we don’t always see what’s around the bend, but one thing is sure, the unexpected happens. When it does, you can be ready. Let us help protect you, your family, and your property. If you need Auto, Home, Umbrella, Renters, Boat or any other personal insurance coverage, we can tailor a package to fit your individual personal insurance needs. If you’re a business owner in Florida, it pays to know all your available insurance coverages. This might sound like simple advice, but many Florida business owners don't realize the various options available in regard to insuring all their assets. From workers compensation to commercial auto coverage, Llewellyn Insurance has you covered. At Llewellyn Insurance Services we believe that our professional responsibilities are not to a corporation, but clients. We don’t work for the insurance industry. We work for you, our St. Petersburg, FL community. Don’t think of us as some guy in an office, dependent on facts, figures and mandates set down by some other guy in some other office. We like the idea of agent as advocate. We chose to get into this business not because it was a convenient way to make a buck. We saw it as a way we could help people. Why choose an Independent Insurance Agency like Llewellyn Insurance Services? 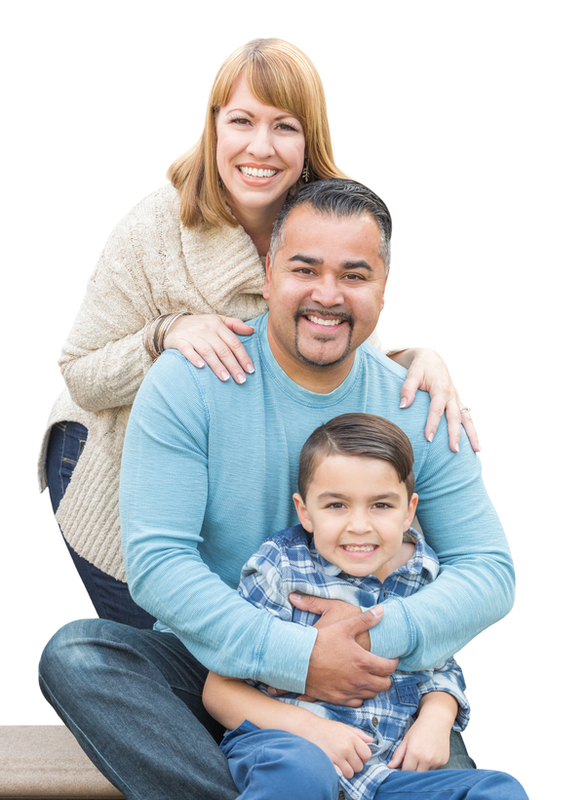 As a family owned and operated, independent Florida insurance, we work with many insurance providers to get you the best coverage for the best price. From homeowners insurance, to general business liability, to life insurance, workers compensation, and commercial auto, Llewellyn Insurance Services has the experienced agents necessary to ensure you’re carrying the most suitable insurance policies for your particular circumstances and needs. Llewellyn Insurance customers have been our #1 priority since 1990. Trust us when we say, we're here for you! We work with a multitude of insurance agencies to make sure you get the best coverage at the best price. Llewellyn Insurance Services is a locally owned and operated independent insurance agency in St. Petersburg, FL providing personal and commercial insurance solutions including Auto/Car Insurance, Homeowners Insurance, Life Insurance, General Liability Insurance, and Commercial Property Insurance to Sarasota County, Pinellas County, Manatee County, Hillsborough County, Florida and beyond.